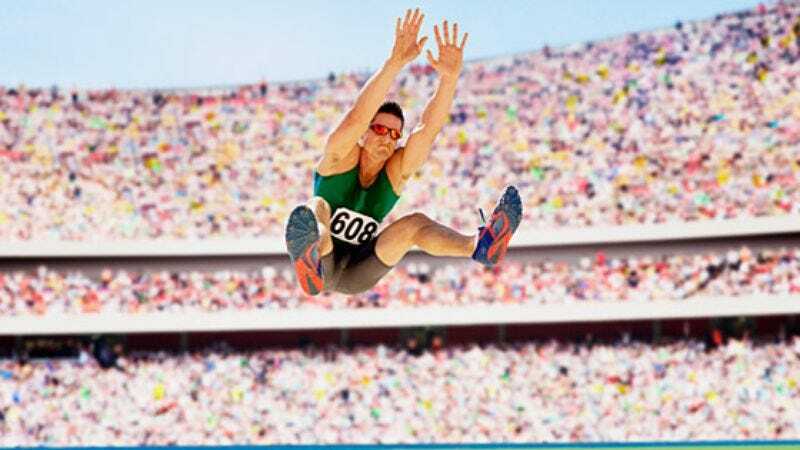 BALTIMORE—David Segal, 38-year-old accountant and father of two, expressed hope that his 10-year-old son's recent interest in long jumping has been spurred only by the 2008 Olympic Games and will fade out as soon as the NFL season, NBA season, and MLB post-season begin. "He can't be serious," a distraught Segal said last Friday when his son rejected his offer to play a game of catch in favor of watching Olympic track-and-field events for the second time this week. "I don't get it. You can run and jump in baseball, football, and basketball, too. But at least those sports are, you know, sports." Sources close to Segal say he later forcibly prevented his son from watching the Olympics as soon as the floor exercise of the men's artistic gymnastics came on.